Enjoy Carib-Cruises' hand-selected list of great vacation ideas and travel destinations. Whether you're looking for cheap family vacations, tropical vacations or vacation spots around the world, these wonderful websites will help you find your way. Each site has been reviewed and selected personally by myself. Each one offers well-written and informative content that helps you plan your next trip... that is of course if you have decided not to go on a cruise! Places to go... is the title of my list of travel destinations we have to see before we get too old! Have you made your list of vacation spots? 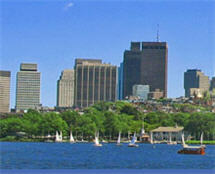 Are you planning to travel to Boston? Are you moving to Boston? Whichever the reason, this website is so comprehensive, it's the only one you'll ever need for Boston. "Boston's tourism attractions provide even the most seasoned traveler with plenty to explore." Great Florida Vacations covers just about everything there is to know about Florida. Want to know which are the best beaches, or how about discovering the Florida Keys, and of course who wouldn't want to visit the Everglades? I so envy people who live in Florida (minus the hurricanes of course) like Gail... so much to see and do. One day when my husband retires, we might join all my fellow 'Snowbirds' from Quebec escaping the winter!! Newport Discovery Guide Let a native be your guide as you explore the historic "City by the Sea". 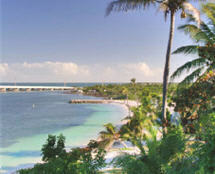 Enjoy the breathtaking coastal views, opulent mansions, romantic sailing, legendary music festivals and shopping galore. "America's 1st Resort" awaits you! I'm so jealous of anybody living "By the Sea". Yacht Charter Site. Try a Yacht Charter and take a Caribbean Cruise where you experience the thrill and excitement of sailing your own Yacht as well as choosing where to sail and where to anchor. Enjoy swimming to the beaches and visiting harbors all from your own boat with your own friends or family. Le Caribbean Islands A site with lots of information on the Caribbean Islands.